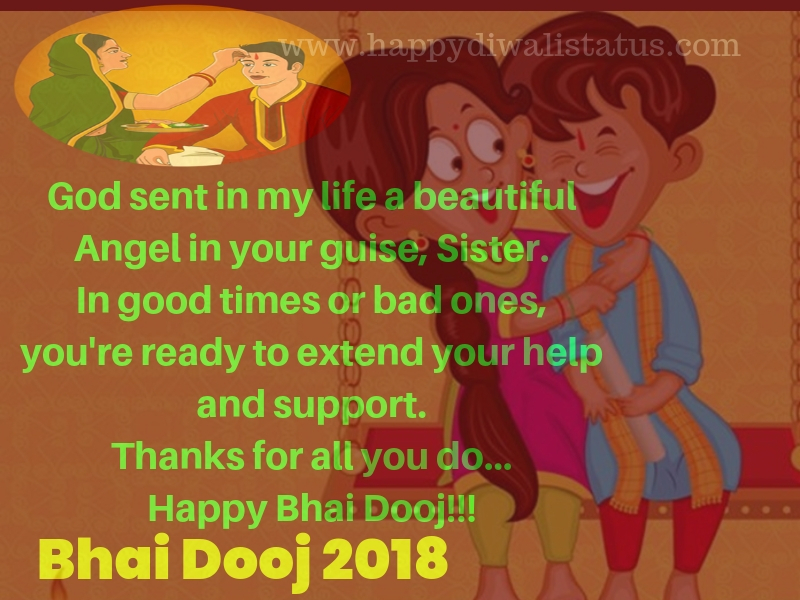 This year Bhai Dooj comes on 9th November(Friday). 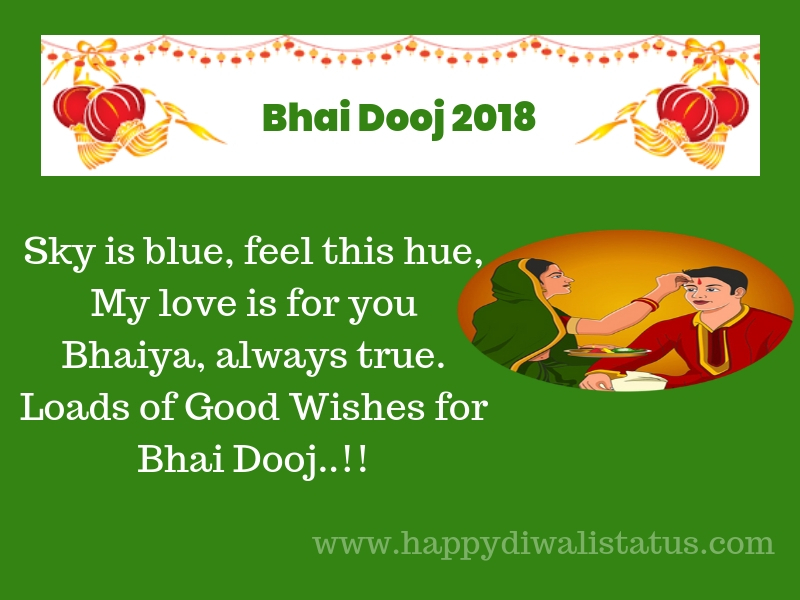 Bhai Dooj festival celebrates by brothers and sisters after Diwali. 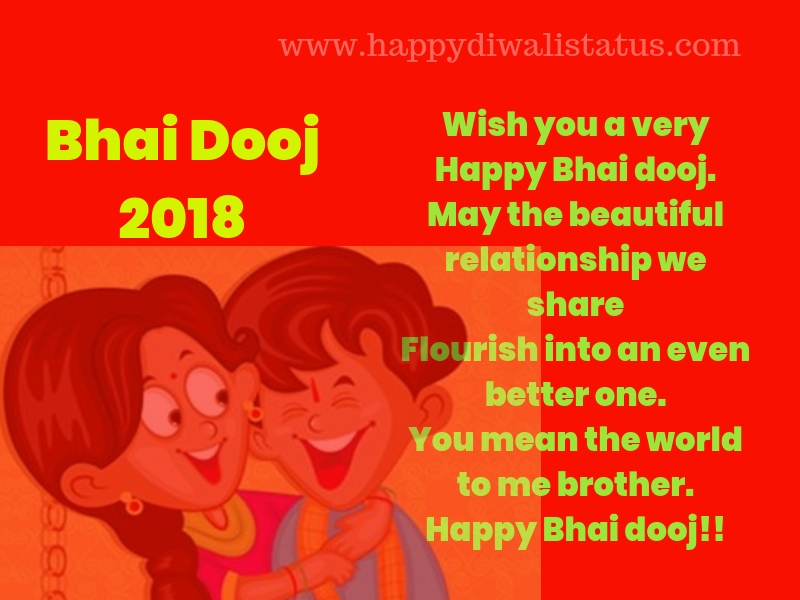 Bhai Dooj’ is a Hindu festival noted as much for its vibrancy as for its inspiring sentiments related to brother and sister relationship. 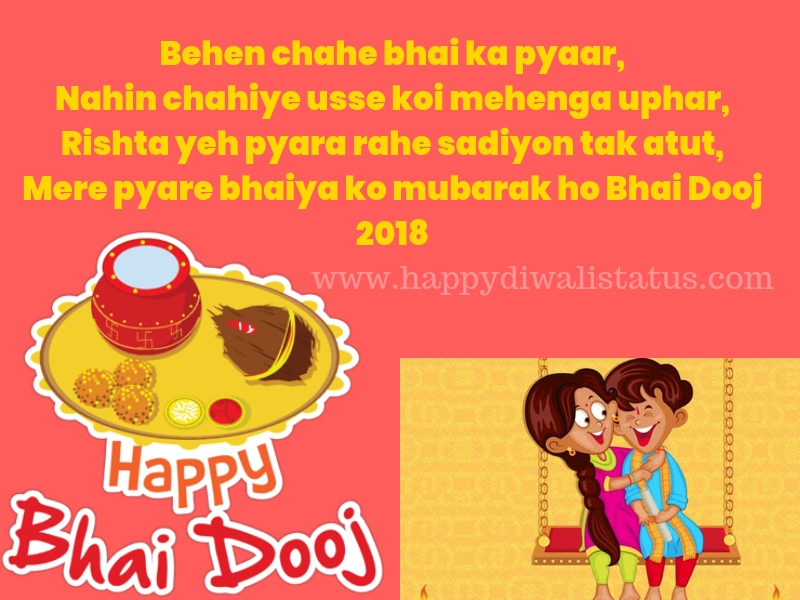 Coming at the far end of Diwali celebrations, this festival dedicated to brothers and sisters falls in the auspicious Kartik month of October/November. 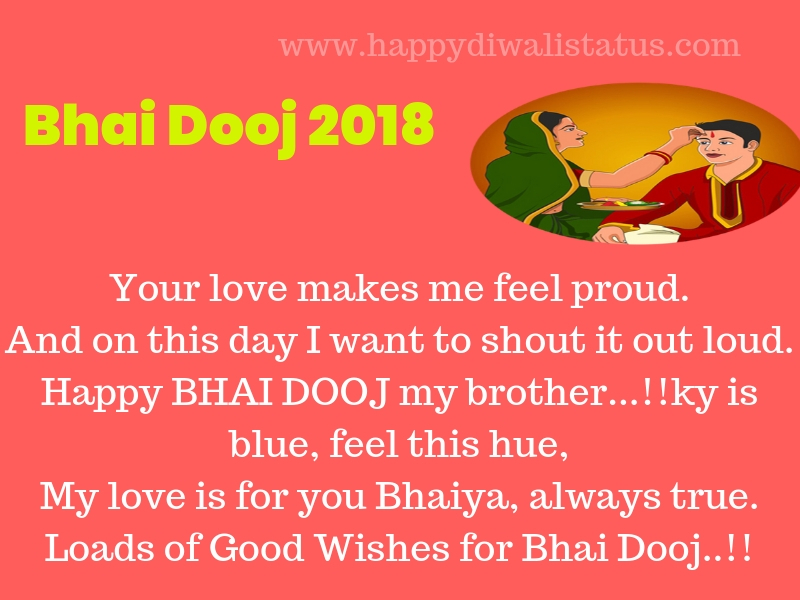 Hence, ‘Bhai’ stands for brother and ‘Dooj’ signifies second. 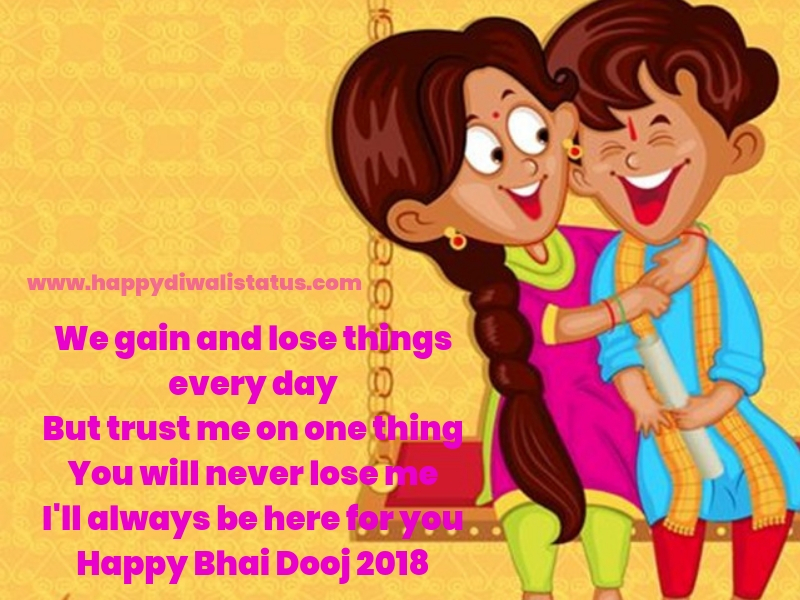 Also, in the same as ‘Raksha Bandhan’, brothers give the assurance of protection to sisters and offer blessings. Sisters honor this strong bond with the simple ritual of putting a ‘tilak‘ on the brother’s forehead and performing an ‘Arti’ while concluding it with profound prayers for his long life. 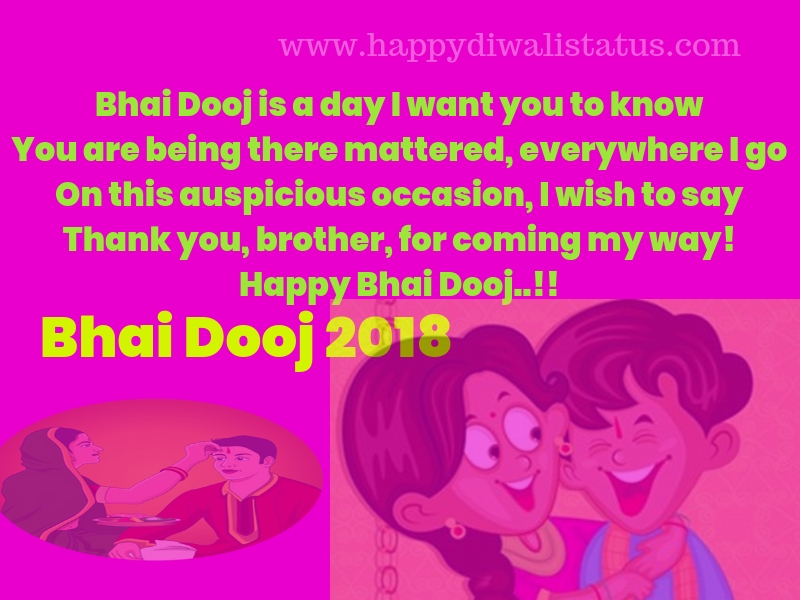 The hallowed light emanating from the ‘Arti’ is a symbol of purity that keeps the brother-sister relationship sacrosanct. Brothers visit their sisters, partake of good food prepared in their honor and also indulge their sisters with gifts or goods. 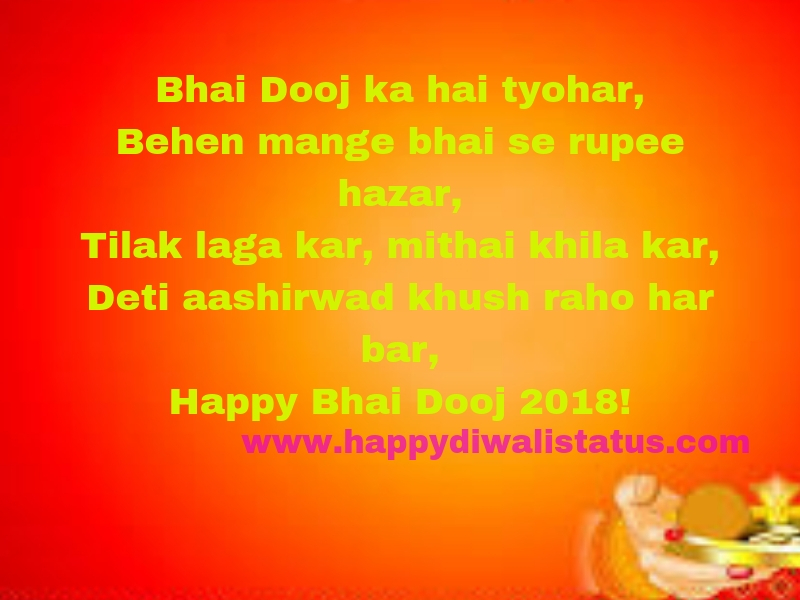 It is a very respectable festival for brothers and sisters. You mean the world to my brother.